As your skin ages, its energy levels decrease. The Shiseido Daily Care collection ensures that your skin is well protected, with a range of moisturisers, lotions and creams that deliver generous moisture to just-cleansed skin. Each product preserves optimal moisture levels for a feeling of supreme comfort, while targeting a loss of firmness and vibrancy. 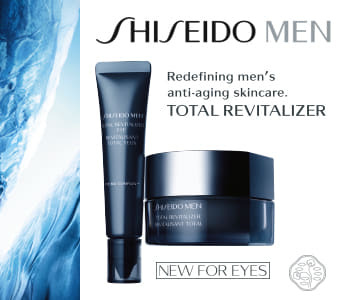 Shiseido Men moisturisers improve the productivity of vital processes in the skin, ensuring that your skin looks youthful and fresh for longer.